Walter Rodney was a writer and activist who was influential in the anti-imperialist, the Black Power, and socialist movements across the Black and African worlds. In 1980, Rodney was assassinated in his homeland of Guyana by a car bomb while participating in local politics. 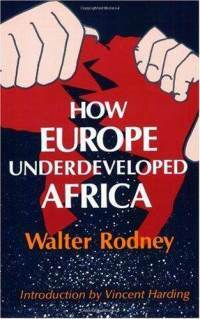 Rodney is probably best remembered as the author of the very influential How Europe Underdeveloped Africa. Published in 1972, Rodney’s book has become a classic work on the political economy of Africa and underdevelopment generally. Rodney has a place alongside writers like Andre Gunder-Frank, Samir Amin, Malcolm Caldwell, Arghiri Emmanuel and similar theorists who have studied modern imperialism and underdevelopment. 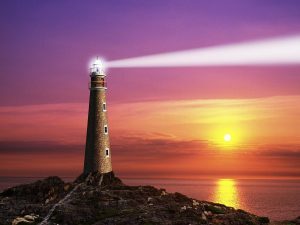 This tradition foreshadows the development of Leading Light Communism. Even though almost four decades have passed since its publication, the book is a must-read for those seeking to understand the poverty of Africa and the wealth of Europe and North America. It helps us understand how the wealth of First World countries is a result of poverty in Third World countries. Rodney’s work is an important forerunner of the political economy of the Leading Light Communist movement. The king’s palace is a collection of buildings which occupy as much space as the town of Harlem, and which is enclosed with walls. There are numerous apartments for the Prince’s ministers and fine galleries, most of which are as big as those on the Exchange in Amsterdam. They are supported by wooden pillars encased with copper, where their victories are depicted, and which are kept carefully clean. Obviously, there were great differences between Holland and Africa too. However, it is pure racism to portray Africa as barbaric and uncivilized prior to large-scale European contact. Such racist conceptions are not based in reality. They are part of a complex, evolving, and often contradictory narrative that has been used for hundreds of years to justify the plunder and exploitation of Africa by Europeans and other imperialists. Similar tales have been used to justify the imperial conquest of the Americas and Asia. While pointing out early Africa’s accomplishments, Rodney does not understate the differences between Western Europe and Africa. Rodney does not exaggerate the development of Africa prior to the fifteenth century. Rodney could not be further from contemporary Afro-centrists who wildly falsify history in order to claim Africa as the center of virtually all great advances. Rodney is a scientist, not a story teller and myth maker. He is part of the Marxist tradition. He does does not romanticize pre-colonial Africa. Rodney is no utopian longing for a return to a “golden age” that never existed. Rodney points out that African societies had their own contradictions, configurations and distributions of power. 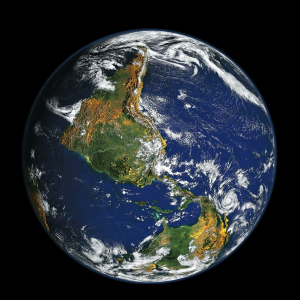 In the Manifesto, Karl Marx describes the development of Western European society, and the world, as a march from primitive communism to slave society to feudalism to capitalism to communism. Although in other writings Marx sometimes postulated other modes of production like the “Asiatic mode,” some have held that this march, this pattern of development, is inevitable and universal. Often such claims are made with little concrete investigation into the particularities of development, especially outside of Europe. Such an outlook is often useful to so-called Marxists who apologize for or even openly align with imperialism. Unfortunately, these pretenders find some support for their reactionary views in certain aspects of Marxist tradition, especially those works that overemphasize the development of the productive forces as the driving force of history. Maoists criticized certain aspects of the tradition as the Theory of Productive Forces, a revisionist theory. This isn’t to say that real trends and patterns are absent from social development. And certain social development presupposes certain conditions exist. One cannot simply jump to communism or even socialism. Rodney’s survey of African development shows that the complexity of the real world often escapes vulgar simplifications. Yet Rodney does not end up in idealism or anarchist utopianism or epistemological skepticism. In this respect, Rodney shares much with Mao at his best moments. Mao too did not embrace the idealist position that rejects the idea that revolution and development happens in stages. However, Mao too understood that development did not always fit into such a linear straight-jacket. Mao recognized that building socialism in the Third World would mean taking a path that did not match up exactly with the scheme Marx originally predicted for Europe. Mao built off Lenin’s understanding that imperialism was a real game changer across the world. Imperialists imposed a socioeconomic configuration on China that Maoists variously call, depending on what aspect they want to emphasize, “colonialism” or “semi-colonialism,” “semi-feudalism,” “comprador capitalism,” and “bureaucrat capitalism.” These are the terms that Maoists have used to describe the underdevelopment that has been imposed across the “global countryside,” the Third World. Mao saw that imperialism altered the mode of production, the political development and cultural life of the exploited countries for the worse. The imperialists often enter into an alliance with the most backward segments of the indigenous populations, the comprador capitalists and feudalists. In some cases, colonialism even imports and imposes feudal institutions alongside capitalism as in parts of Latin America. Thus imperialism does not develop a poor country, it underdevelops. Imperialism is thoroughly reactionary. This is why Lenin identified imperialism as the highest and last stage of capitalism. Capitalism was no longer progressive in the world. This is why Lenin called it moribund and decadent. Mao’s answer to this was to find another road to socialism. 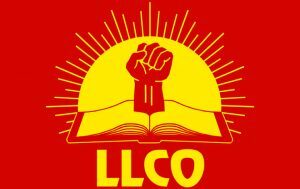 Mao united all the popular classes under proletarian, communist leadership in a people’s war against the two mountains of imperialism and feudalism, for New Democracy and national liberation. This laid the groundwork for socialist revolution. Mao’s theory of New Democracy proposes a different sequence of development than the traditional euro-centric one. This was one of Mao’s greatest theoretical accomplishments. It was Chen Boda and Lin Biao who universalized this aspect of Mao’s work. Mao’s road was not simply socialism for China, but rather Mao’s contributions applied far beyond China.